Dragonrot is a death mechanic in Sekiro Shadow Die Twice which impacts Sekiro and the NPCs around him. 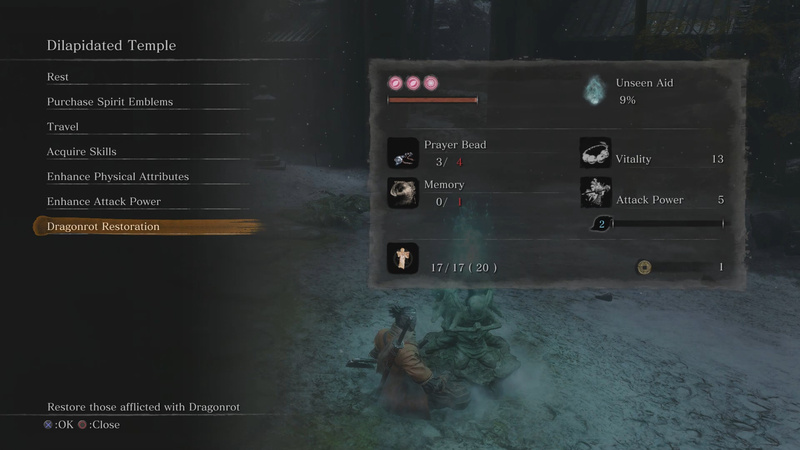 To help deal with this death punishment, here’s how to remove Dragonrot in Sekiro Shadows Die Twice. Drago Rot is a death penalty in Sekiro Shadows Die Twice. 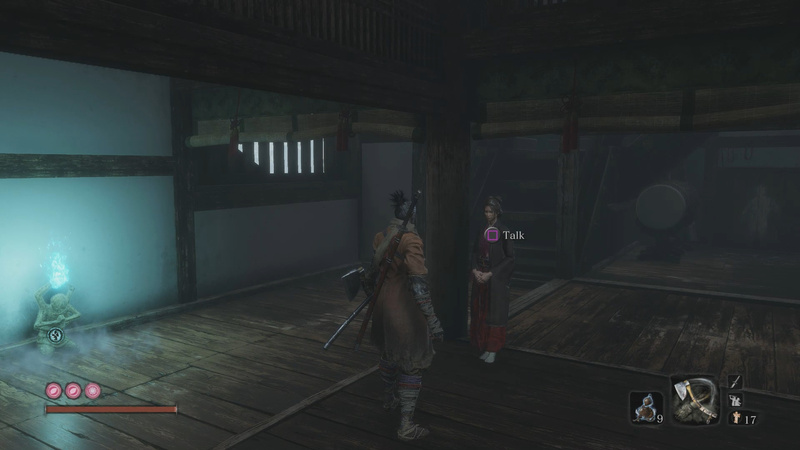 When you die in Sekiro, you are presented with two choices, die or resurrect. Dying causes Dragonrot to spread. If you resurrect and live, you will not spread Dragonrot (ie reach a Sculptor Idol). Dragonrot as a whole impacts you and NPCs in the world. If there is Dragonrot Sekiro will lose percentages off his Unseen Aid which is impacts the likelihood of not losing half your XP and sen upon death. NPCs that are sick with Dragonrot will have their questlines stall out on you until they are healed. Dragonrot is a part of the game, but thankfully it is reversible. If you do some things for Emma, she will unlock the ability to cure the Dragonrot using a specific item. Here’s what you need to do. As you progress through the game, you will return to the Dilapidated Temple to find Emma sitting with the Sculptor. Emma will tell you about the cough and Dragonrot. After this has occurred, you can speak to Emma to find out how the cure is coming. Eventually Emma will request a blood sample. To get a blood sample, speak with an NPC that is infected with Dragonrot. Return to Emma with the sample. She will find the cure for you. Once you’ve given the blood sample to Emma, return to her to learn about the cure. Basically all you need is a Dragon’s Blood Droplet and a Sculptor’s Idol. Use the Dragonrot Restoration option at any Sculptor’s Idol to have the curse of Dragonrot lifted. Once the ailment is removed, people will regain their health and your Unseen Aid will return to 30%. That’s all you need to know about Dragonrot in Sekiro Shadows Die Twice. While on the surface this system may seem fairly punishing, it really isn’t so bad. Good luck out there! 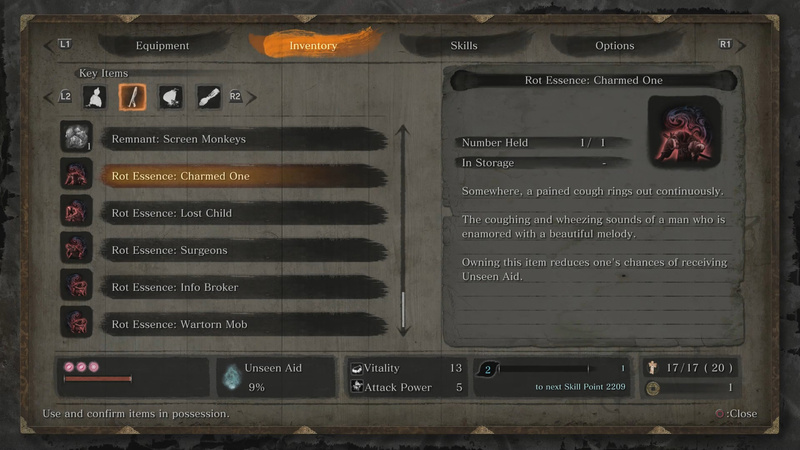 Thoughts on our how to remove Dragonrot in Sekiro Shadows Die Twice guide? Drop them in The Pit below.